So Lonely in Gorgeous: Baseball, and Stitches, and Tom Ford. Oh My! I'm really impressed with how well the eye makeup held up. I've been in this makeup for over 11 hours. I retouched the blush once, and the lipstick twice. Well done Mr.Ford! Tom Ford Cheek Color 04 Savage. Tom Ford Cream Color for Eyes in 03 Illicit (all over the lid). Mac Eye Kohl in Prunella (applied lightly in the outer crease and blended. Used to tightline, and on the waterline. Kate Super Sharp Liner in RD-1 (line the lashline). 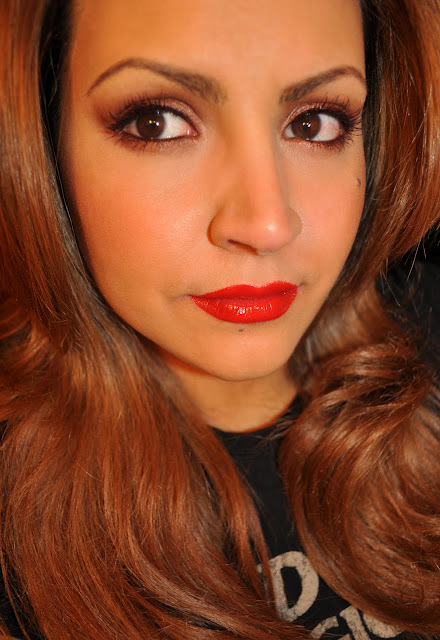 Tom Ford Lip Color in 16 Scarlet Rouge. For those of you wondering, this is what the last hair color faded into. This was expected, since it's a bit challenging to go from light to dark. 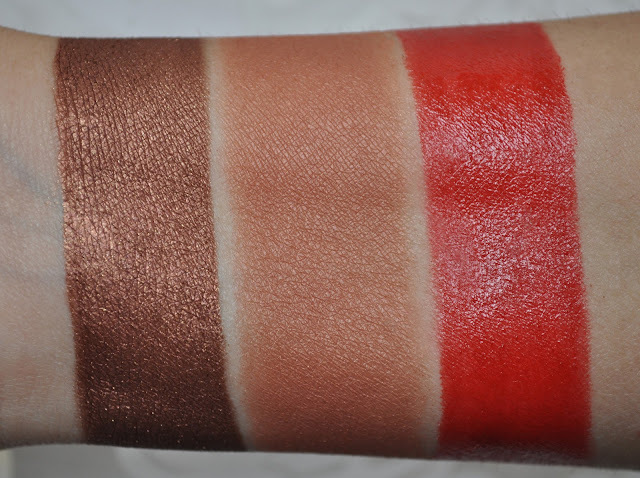 From left to right: Cream Color for Eyes 03 Illicit, Cheek Color 04 Savage, Lip Color 16 Scarlet Rouge. 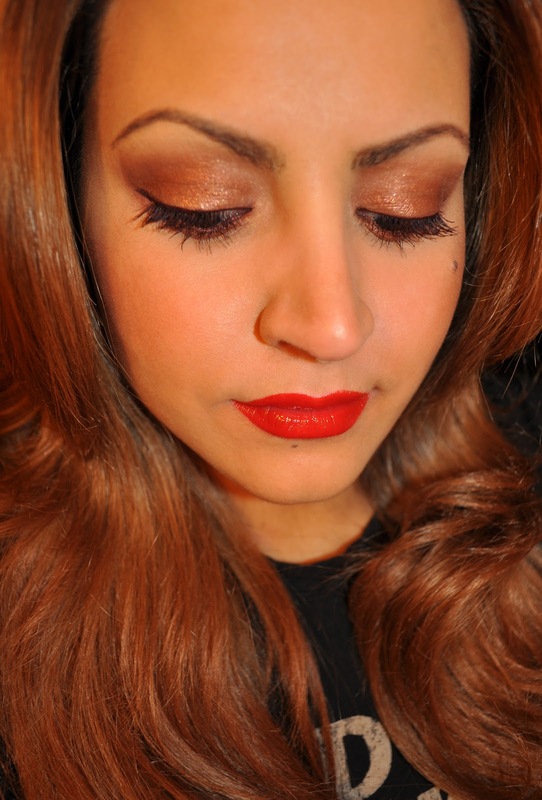 Cream Color for Eyes 03 Illicit: a shimmery russet-bronzed maroon. Cheek Color 04 Savage: a muted redden bronze-brown with a gorgeous sheen. 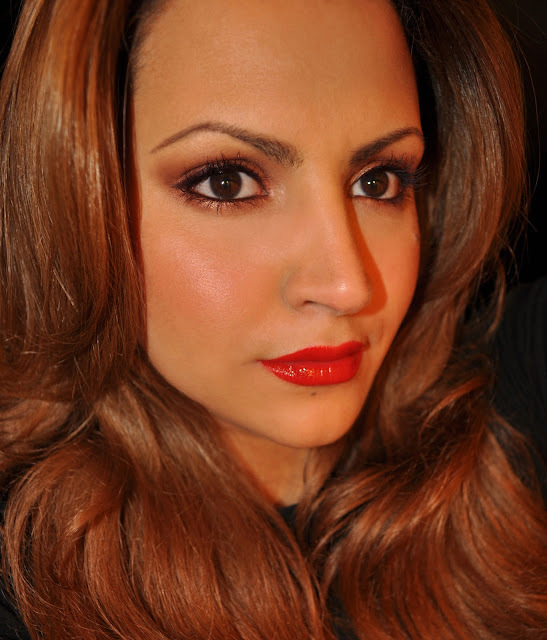 Lip Color 16 Scarlet Rouge: a warm "true" red. What are some of your favorite red lipsticks? The power of makeup in strong in this one! 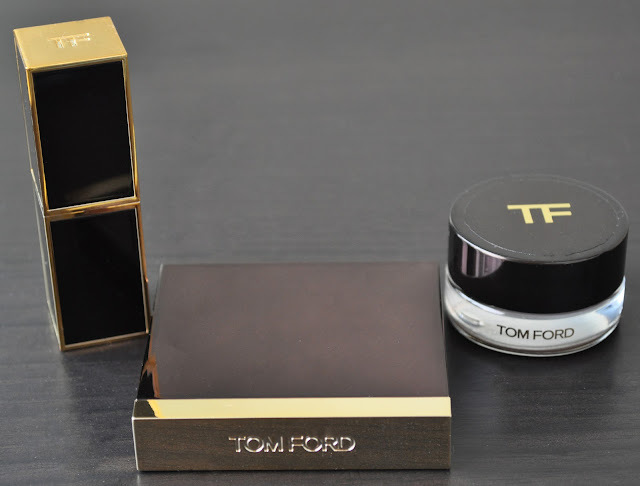 You'll want to own more than one or two items once you've tried the Tom Ford beauty line, guaranteed! Thank you for the get well wishes. Aki's been holding up pretty well. OMG poor Aki. 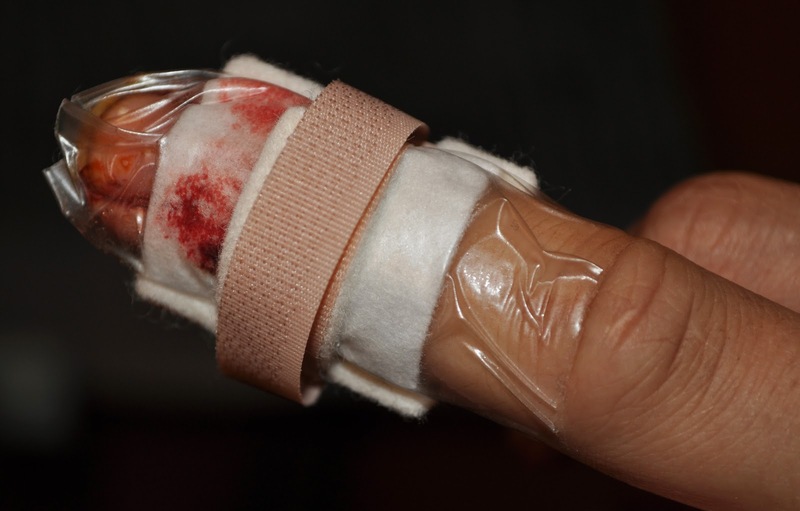 Anyone who has felt the pain of closing one's finger in the door can imagine how DAMN painful this must've been. This is one way to discover just how many nerve endings there are in the fingers! I certainly hope that you gave yourself a very nice treat for being such a loving girlfriend after such a long & hard work day!??? You just remembered me of the time when I slammed the car door shut on my right hand. My parents had gone inside and door wouldn't open. I was shouting for someone to come and open the door...I was out there for 1 hour. I believe I was in the 5th grade. Ah, well, how nice of me to remind you of that. Got to love Buggsiebee!!! Hahaha, they kept me out there for a long time!! I need to phone my parents up and remind them of that day :P No Physical damage thank god! I love that we both posted on Scarlet Rouge this week...it looks absolutely lovely on you!! Must check out Tom Ford Savage blush immediately...you are right, the sheen is just gorgeous. You have to check out Savage, you'll love it!! !